On March 8th, Menelik Jackson was standing in front of Cook County Judge Joseph Claps to address a violation of probation motion that prosecutors had filed against the 24-year-old South Sider. Two weeks later, off of electronic monitoring and on the streets well past his former curfew time, Jackson would violate his probation again by obtaining a handgun. 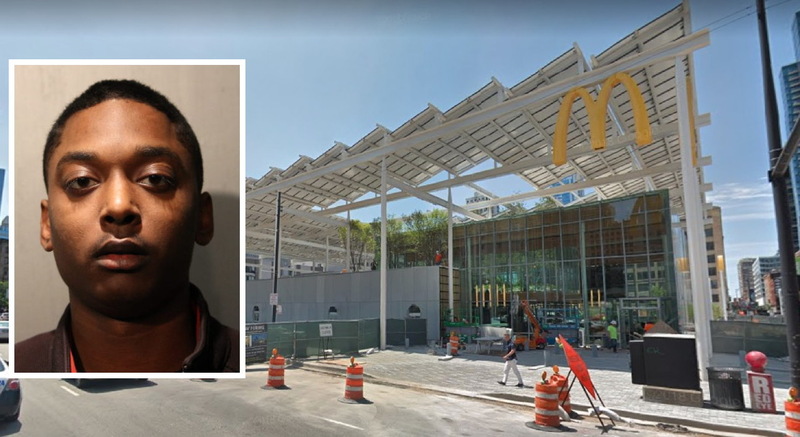 And he’d use the gun to shoot and kill an off-duty Chicago cop in River North and gravely wound that officer’s friend, according to prosecutors. Judge Claps’ forgiving decision was merely the latest in a long string of lenient decisions by judges and prosecutors who’ve meted out Cook County’s unique blend of “justice” to Jackson. On March 16, 2017, Jackson’s live-in girlfriend showed police officers bruises on her face and neck. Jackson had grabbed her by the throat and punched her in the head, she said. She took officers to a bedroom where the couple’s 16-day-old child was sleeping. Jackson had placed a loaded 9-millimeter handgun on the bed directly next to the child with the barrel pointing at the unattended newborn. Prosecutors charged him with domestic battery and causing a child to be endangered. A protective order was issued, barring Jackson from contacting the victims and from possessing any firearms. Less than four months later, on July 3rd, 2017, the bad situation turned worse. Armed with a handgun that he was prohibited from having, Jackson broke into his ex-girlfriend’s home where he had been ordered not to go. He brandished the gun and threatened to kill both the woman and the couple’s now-four-month-old child, in blatant violation of the court’s no-contact order. Afterward, the woman called police and told them where they could find Jackson: He had an appointment that morning for pre-hiring screening at the Chicago Police Academy. Officers arrested him there in possession of a loaded handgun. Jackson was charged with one of the state’s most serious crimes, Class X felony home invasion while armed with a firearm. 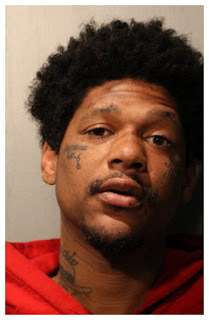 Other felony charges filed included residential burglary, aggravated unlawful use of a weapon in a vehicle, and aggravated unlawful use of a weapon in violation of a protective order. Unable to raise a $5,000 deposit bond, Jackson sat in jail until Aug. 30, 2018, when he reached a plea agreement with prosecutors. According to the deal, he would plead guilty to all charges in the first incident. In the second incident, prosecutors would throw out the home invasion and all weapons charges, then the state would reduce the remaining burglary count to “attempted burglary,” and Jackson would plead guilty in exchange for probation. The state presented the deal in court, and Judge Ursula Walowski approved. Walowski sentenced Jackson to 30 months of “intensive probation,” fined him $500, ordered him to submit a DNA sample, and issued a protective order that barred him from having a gun and from contacting his victims. Again. She ordered Jackson to perform 30 hours of community service and wrote that he “shall be on GPS monitor and curfew from 7 p.m. to 7 a.m. for [the] first six months.” Two of Jackson’s guns in the police department’s possession were ordered destroyed. Despite being handed the great gift of serving no prison time and enjoying the leniency of a prosecutor who dropped a cakewalk armed home invasion case in favor of a single, reduced charge of “attempted” burglary, Jackson still wouldn’t play by the rules. On Feb. 21st, prosecutors learned that Jackson had allowed his GPS monitor batteries to run dead. A violation of probation motion was filed. Then, on March 8th, Jackson again enjoyed the kind hand of Cook County “justice” as Judge Claps decided not to penalize him for breaking probation promises. Jackson’s electronic monitor was removed. His curfew was terminated. Two weeks later, Jackson and an as-yet-unnamed companion were at the Rock & Roll McDonald’s in River North at 2:30 a.m. on March 23rd. Somehow, Jackson and his friend got into a dispute with a busload of about 10 Hispanic partiers. Police were called. The situation was resolved. But Jackson wasn’t done, prosecutors say. He left the McDonald's and got another handgun that he was not allowed to have. Then, Jackson and the man who is still being sought by police began looking for the group of Hispanic partiers, according to allegations. Jackson and the other offender bumped into frequently-arrested local vagrant Jovan Battle and asked if he had seen the Hispanic group. Battle—who some police sources say was paid $5 by Jackson for his guidance—gestured with a bottle toward Officer John P. Rivera’s car where the off-duty cop, his girlfriend, another off-duty officer, and a male friend had settled in for their drive home. Jackson walked up to the driver’s side of Rivera’s car and began firing without saying a word. Rivera and his group had not been at the Rock & Roll McDonald’s. They had never encountered Jackson or his friend before. Instead, they had merely walked out of nearby Stout Barrel House and prepared to return home. CPD Supt. Eddie Johnson today said Rivera was killed because he was “the first Hispanic man” Jackson saw after returning to River North….With that gun that he promised the court he wouldn’t have.